A couple of days ago, I was trying to search the non-default optimizer environments(aka. parameters) of a specific SQL query which has multiple child cursors. But it soon turned out that it’s almost impossible to search this simple view just because of the underperformance. Followings are what I mean. 1. Create simple objects and gather statistics with histogram. 2. Now I create 200 child cursors for a simple query using the notorious combination of SIMILAR cursor sharing and histogram. Now I have 200 child cursors. 3. But the problem is that simple search on V$SQL_OPTIMIZER_ENV is extremely slow. Following simple lookup takes 17.3 sec to be accomplished. The bigger problem is that this simple query eats up 100% of CPU and makes the whole system hang with the library cache related contention as the count of the child cursors increases. Restarting the instance was the only way to continue my test. 4. 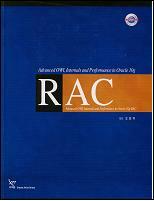 The query follows the effective index range scan on the fixed index. No more tuning available. 5. Querying the time model and latch activity tells nothing meaningful. It would have been an aggressive mutex activity which made my laptop hang as this is 11g enviroment. I’ve profiled the callstack and got nothing meaningful. It just shows the API call for the X$VIEW lookup. This problem was reproducible only when the query has many(over 200?) child cursors. And the V$[SYS|SES]_OPTIMIZER_ENV view did not have such problem. Metalink didn’t give any bug related to V$SQL_OPTIMIZER_ENV. So I suspect that this is not a bug, but the lookup code for the view has some under-optimized part on which I have no control. This behavior is likely to be dependent on versions. I would share the result of more comprehensive tests on this in case something meaningful found. It looks like OS problem. More specifically, this unpderperformance took only in Oracle on Windows. Didn’t have a chance to dig it in more detail. These are findings and dicussions on the undocumented cardinality feedback implementation on Oracle 11gR2. This is a very fantastic but embarassing feature, so I decided to reproduce it myself and have some research on it. I focused on the following questions. Can I control it – hidden parameters and/or diagnostic event an/or hints? And I think I got the right answers for all these questions. 1. Can I reproduce it? Very impressing, isn’t it? Oracle introuduced the concept of the cardinality feedback on 10g – as the name of automatic query tuning. It seems that Oracle has determined to apply that technology for the normal query processing. 10053 trace shows that Oracle uses OPT_ESTIMATE hint which is the one used exactly by the automatic query tuning engine. SELECT /*+ OPT_ESTIMATE (TABLE "D4" MIN=42.000000 ) OPT_ESTIMATE (INDEX_SCAN "D4" "DIM4_PK" MIN=56.000000 ) OPT_ESTIMATE (INDEX_FILTER "D4" "DIM4_PK" MIN=56.000000 ) OPT_ESTIMATE (TABLE "D2" MIN=56.000000 ) OPT_ESTIMATE (INDEX_SCAN "D2" "DIM2_PK" MIN=560.000000 ) OPT_ESTIMATE (INDEX_FILTER "D2" "DIM2_PK" MIN=560.000000 ) OPT_ESTIMATE (TABLE "T" ROWS=60.000000 ) OPT_ESTIMATE (TABLE "F" MIN=560.000000 ) */ "T". "YEAR_ID" "YEAR_ID",SUM("F". "METRIC1") "SUM(F.METRIC1)" FROM "UKJA". "FACT" "F","UKJA". "TIME" "T","UKJA". "DIM2" "D2","UKJA". "DIM3" "D3","UKJA". "DIM4" "D4" WHERE "F"."TIME_ID"="T". "TIME_ID" AND "F"."DIM2_ID"="D2". "DIM2_ID" AND "F"."DIM3_ID1"="D3". "DIM3_ID1" AND "F"."DIM3_ID2"="D3". "DIM3_ID2" AND "F"."DIM4_ID"="D4". "DIM4_ID" AND "D2". "DIM2_LIB"='Value 5' AND "D3". "DIM3_LIB"='Value (2,2)' AND "D4". "DIM4_L2"='L2.1' AND "F". "ATTR2"='ZZ4' AND "T"."TIME_ID"=TRUNC("T". "TIME_ID",'W') GROUP BY "T". "YEAR_ID" ORDER BY "T". "YEAR_ID"
A series of OPT_ESTIMATE hint is appended on the fly even before the query transformation is being processed. If you analyze the numbers used in the hints carefully, you would realize that Oracle uses the actual rows as the cardinality feedback. It seems that Oracle stores the actual rows for each table/indexe at the first execution and uses them to feedback the cardinality on the next execution. And it also seems that Oracle does so only when there is a great difference between the estimated cardinality and the actual cardinality. 3. Can I control it? The final question is how we control it. 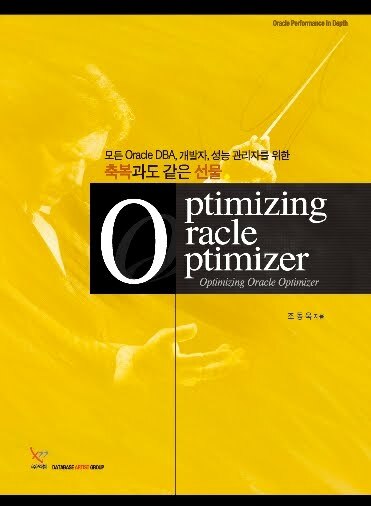 The hidden parameter “_optimizer_use_feedback” is the answer. By disabling this parameter, I could prevent the cardinality feedback from happening. This cardinality feedback implementation is quite interesting but the details are not well known. It also has a chance to make many DBAs/developers embarassed. Let us wait and see how the things go. What is the best debugging tool ever invented in the history of the programming langauge? We have a choice of many powerful and cutting-edge tools these days, but still, the most powerful and handy debugging tool is logging which is written by developers themselves. But unfortunately, PL/SQL has a weaking functionality on the logging and this is why somebody is trying to implement the fully functioning logging ability with PL/SQL. Anyway, the most widely used way of logging is absolutely the DBMS_OUTPUT package. But it has a critical limitation that you can’t see the logs until the PL/SQL execution completes. Another trick is to use DBMS_SYSTEM package with KSDWRT procedure. This procedure enables us to write a text to trace file(1), alert log(2) or both(3). With UTL_FILE package, you can leave a log to any text file. But you need to have a network access(telnet and/or ftp) to the database server to read those files, which is also a big limitation. A little programming skill would be a big help on the situation like this. For instance, following example relies on the pipelined tablen function and DBMS_PIPE package to overcome the limitations mentioned above. While session A logs, another session B can read it simultaneously. This is a situation where a little knowledge can play an important role to solve the problem. Hanganalyze is always the best tool for finding row cache lock holder as following. Am I able to find out the row cache lock holder only through V$ views? The answer is YES and it’s what V$ROWCACHE_PARENT view is meant for. Let me explain with simple test case. Create a sequence object with NOCACHE attribute and let two sessions invoke the sequence.nextvalue function recursively. Oracle needs to hold the row cache lock in 5(SRX) mode when calling NEXTVALUE on the nocached sequence, which means it’s very easy to replay the row cache lock contention. Now query on the V$ROWCACHE_PARENT view like following and you get the ID of the row cache lock holder. With the session id found out, it’s not a big deal to get the detailed information on the holder session. Oracle 10g has introduced DBMS_ADVANCED_REWRITE package which enables a specific query to be transformed to another form. Very powerful feature, but this is designed for DW not OLTP. Thus has following restrictions. Only works for the SELECT statement. Does not work when the base table is modified through DML. It’s not well known how to avoid 3rd restriction. The only way I got from some test cases is to use QUERY_REWRITE_INTEGRITY parameter. Let me explain through simple test case. 2. The SELECT statement has FULL hint and (naturally) follows full table scan. 3. How to fix it? DBMS_ADVANCED_REWRITE package would give you the power to change the SELECT statement on the fly with QUERY_REWRITE_INTEGRITY parameter set to TRUSTED. 4. Now you have a plan with magical index range scan. 5. But one simple DML would prevent rewrite from happening. 6. One way to avoid this restriction is to set QUERY_REWRITE_INTEGRITY parameter to STALE_TOLERATED. 7. Now DML does not prevent the rewrite from happening. 8. But here you have another restriction. If the DML is not committed, the rewrite would fail even with STALE_TOLERATED setting. Hm… there seems to be really many restrictions for OLTP, but these would not make any problem for DW. But I believe that even OLTP would get a big and good effect when used in the right place. Oracle performance monitoring is very oftenly followed by querying on the fixed table(x$ table). Query on the fixed table means a direct access on the SGA memory area, which means the promised efficiency. But this does not mean that you don’t need to care about the performance. Reading memory is fast, but hundreds of megabytes of memory makes the situation far worse than you imagine. Just for this reason, many fixed tables have indexes. For instance, X$KGLOB table which represents the list of LCO(Library Cache Object) has following two indexes. We have indexes on SQL Hash Value(KGLNAHSH) and SQL ID(KGLOBT03) columns. This means that you should always try to query X$KGLOB table through these two columns. Here I make a simple test case to demonstrate the usefulness of the indexes on the fixed table. 1. Execute a simple SQL statement and extract SQL ID. 2. Execute two SQL statements which query X$KGLOB table through KGNAOBJ(without index) and KGLOBT03(with index) column respectively. 3. TKPROF result on both of the SQL statements. Logical reads is 0 on both cases.Fixed table is read by direct access on the memory not by scanning database blocks. For this reason logical reads has no meaning here. Execution plan cleary shows that the first one follows full scan(FIXED TABLE FULL) and the second one follows index scan(FIXED TABLE FIXED INDEX (ind:2)). This makes the difference of 0.05s and 0s of the elapsed time. Keep in mind the fact that the traditional way of comparing the logical reads is useless in this test case. 4. My personal monitoring script shows following additional info. The biggest difference lies on the library cache latchacquisition count. Full scan on X$KGLOB needs far more library cache latch acquisition than index scan. More scans on the memory means more CPU assumption, more latch acquisition and potential concurrency problem. Carelessly written monitoring scripts are likely to make unwanted side effects especially without the knowledge on these facts. Even many commerical monitoring tools are making these kinds of mistakes. Same principles can be applied to the dictionary views. Following post is reporting an interesting investigation on the performance of querying dictionary views. Interesting case of ORA-01792 error. One of my customers had a very long but not complex SQL statement generated dynamically and hit the following ORA error. You have very little chance to meet this error in the real life. The definition of the error code is like following. "maximum number of columns in a table or view is 1000"
//         columns in the table are counted toward the 1000 column limit. //         2) Reduce the number of columns in the command and resubmit. But the customer did not have any table whose column count is over 1000. Besides that the SQL statement was just a plain query not any type of DDL. A close look on the definition would tell you that a view also has a 1000 limitation. So I requested the source SQL statement and the statement has following pattern. The SQL statement has declared unnecessary inline view which seems to be generated automatically. The inline view has declared just over 1000 dynamic columns using decode. So, it seems that Oracle cannot declare columns more than 1000 inside a inline view. Let me prove it with following simple test case. ORA-01792 error with the inline view containing 1001 columns. Without inline view, no ORA-01792 error. One thing you should keep in mind is that Oracle limits the 1000 columns while it is checking syntax. Removing view with view merging would have no effect on this 1000 limitation. This customer had the luck to be free from ORA-01792 error simply by removing unnecessary inline view. But under more complex situation, the workaround would have not been that easy.